... my home ... my style ... delindo lifestyle ! We are delighted to announce the launch of our DELINDO Lifestyle®. Delindo is trendy and innovative but at the same time classic and naturally of the highest quality. The brand portfolio includes fluffy-soft blankets and beautiful bedspreads. What’s more we also offer unique half (WTF) curtains and exquisite table linen. Combining quality material and superior manufacturing techniques we can guarantee the highest quality products, at the same time ensuring environmental and health safety standards are maintained. 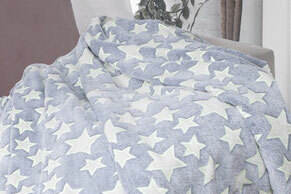 Bedspreads and covers – modern and functional. Blankets and throws for a comfortable and welcoming home. 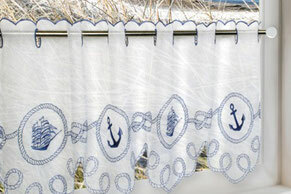 Half curtains in modern or traditional designs - a variety for everyone.